Get ready to celebrate this festive season in London and experience the ultimate in Christmas parties with this Private Christmas Buffet party! 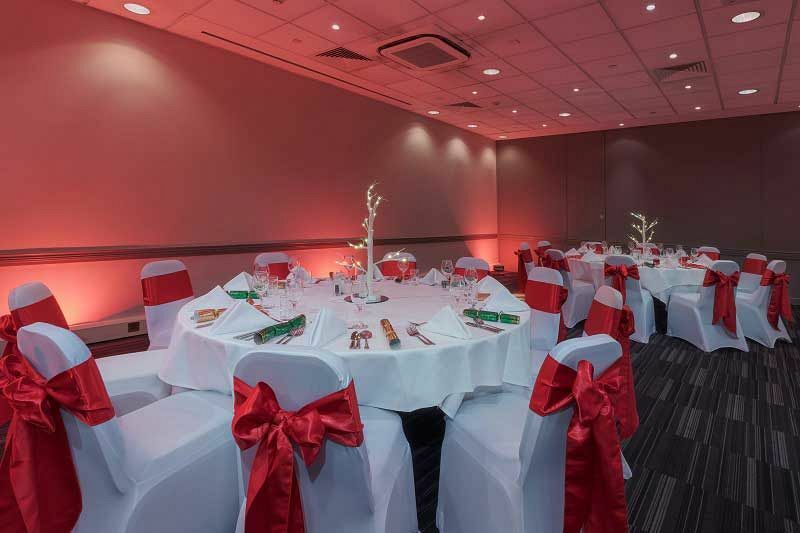 Situated at a top venue in the heart of stylish Kensington, this exciting festive celebration is the perfect way to treat your team to something special this year. With this fantastic exclusive package, you and your team will enjoy private hire of the venue’s excellent event space, mouth-watering food and delicious drink – all with some great company courtesy of your colleagues! On arrival to the venue, you’ll receive a warm welcome from the dedicated team who will show you in the direction of your private party room. You’ll also receive a chilled welcome drink to mark the start of the celebrations which will be sure to keep the conversation flowing and having everyone feeling suitably merry. Feel yourself get lost in those festive vibes as you relax and unwind away from the woes of the workplace with your colleagues. It won’t be long until you’re called and seated ready for your tasty Christmas buffet! Each guest will be able to indulge their senses in three incredible courses from the buffet, which will be sure to amaze with every bite. A half-bottle of wine also be included for each guest to complement their food. From traditional to everything else in between, there really is something on this menu that everyone will love. Freshly brewed tea and coffee will be served to conclude the dining experience along with mince pies. If you’d like to include a DJ and disco with your Christmas party, then this can easily be arranged for an additional cost – send an enquiry through to this excellent venue in Kensington today!